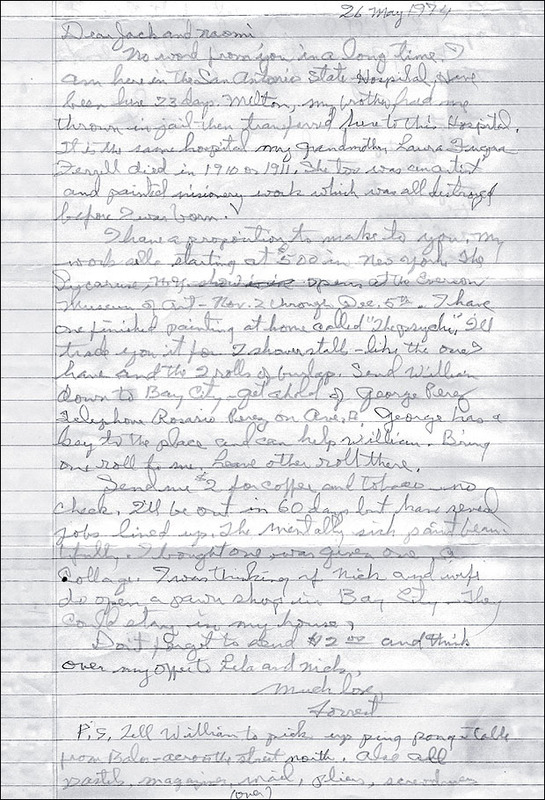 This two-page letter was written by Forrest Bess to his Chinquapin neighbors Jack and Naomi Akridge, 26 May 1974, twenty-three days into his stay at the San Antonio State Mental Hospital. This letter was the first of many which lead to a lasting relationship and meaningful exchange of ideas between Forrest Bess and Meyer Schapiro. 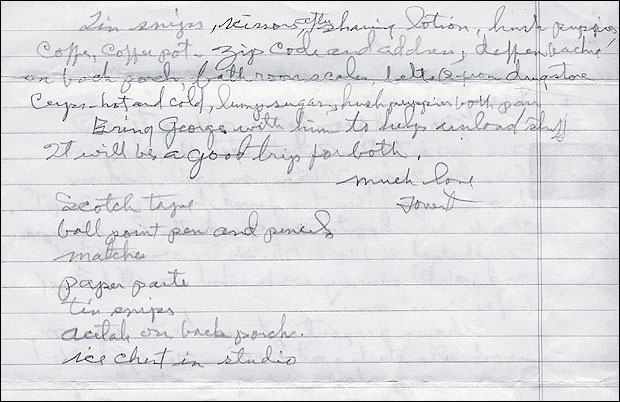 From Meyer Schapiro Papers, Archives of American Art, Smithsonian Institution. I liked some of your statements recently published in Life and for that reason would like to know you better. I was wondering why in your statements concerning "private symbols"you didn't bring to mind C.G. Jung's "psychological and visionary" theory from his modern man in search of a soulhis chapter on psychology and literature. I'd like to introduce myselfmy name is Forrest Bess. I am a painter-fisherman. I live on Chinquapin Bay on East Matagorda Bay on the Gulf Coast of Texas. I am fairly unknown and desire to remain so but like most painterswhen I hear or meet a person with a viewpoint similar in some ways to mine I have the natural inclination to desire to further that acquaintance. My gallery is Parsons at 15 E. 57th in N.Y. My gallery would have been Willard if I had sent my work there. I also know Miller (Dorothy) a the M. of M. Art. The classification of my work is "abstract primitive" and "visionary painter." Sometimes when you're in town go by and look at it and drop me a note. 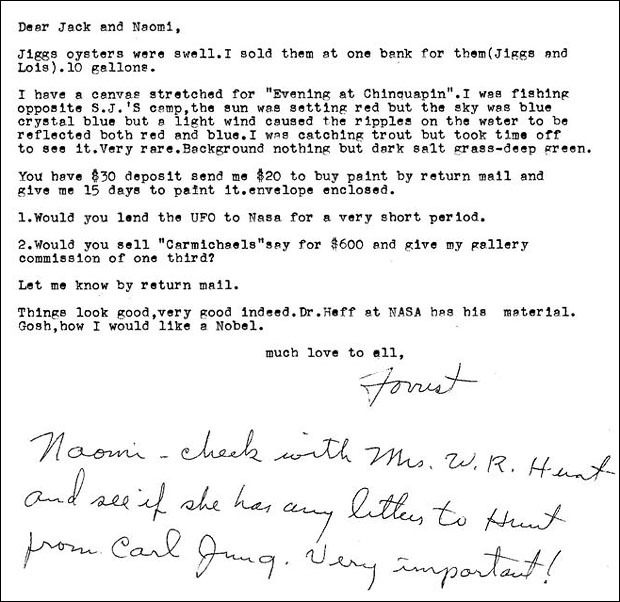 This undated letter from Bess mentions the paintings Evening at Chinquapin and Carmichael's.